The simplicity of this design brings more attention to its romantic message. 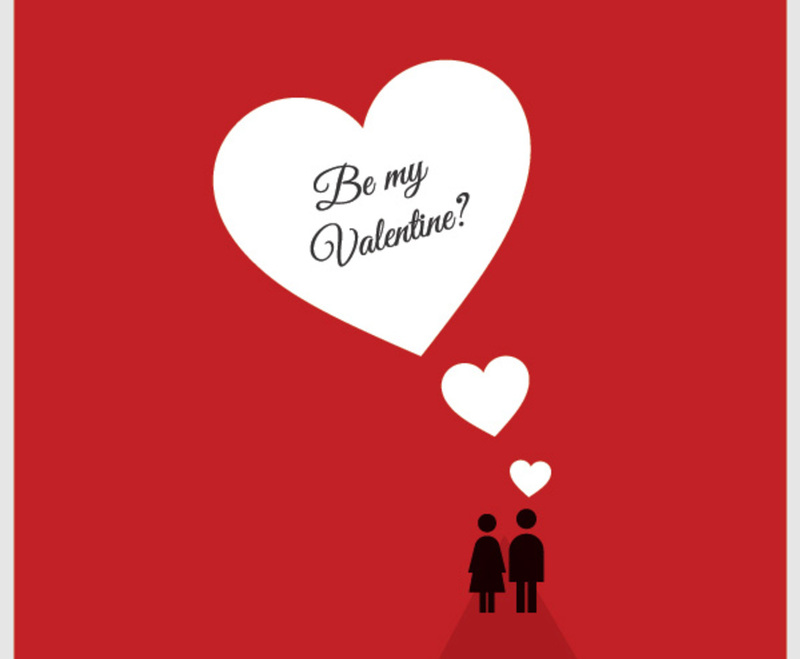 It uses a classic red, white, and black color scheme to create a memorable Valentine's Day greeting. A pair of stylized silhouettes stand on a path stretching into the distance near the bottom right of the image. A set of three white hearts issue from the male silhouette, forming a speech bubble with the words "be my valentine?" in a bold cursive font. The rounded corners help to soften the image. The sincere message works well with the striking minimalist style for an impressive finished effect.